York restorers and conservators Andrew G Podmore & Son were delighted to be entrusted with the conservation of the great west doors at Ripon Cathedral. The work was carried out under the expert guidance of architect Oliver Caroe. As with all restoration, it was paramount that the evidence of the timber’s age on the doors’ surface be conserved and this involved careful cleaning of the internal surfaces which can be seen as a matrix frame construction in a harlequin pattern. When the frame was cleaned and the accumulated soot and dust removed, remnants of an original waxed finish were found. The return of CRE to Sandown will be accompanied by an equally welcome return of an exhibitor who has seen as many CRE shows as the racecourse itself. 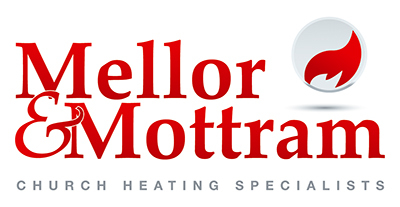 Stoke-on-Trent heating company Mellor and Mottram are one of the foremost specialist installers of heating systems for churches in the UK. 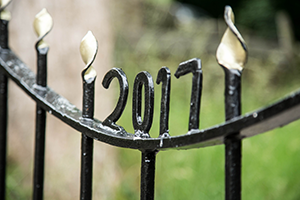 From their origins in the commercial market in the 1970s the company has honed its expertise in the complex church sector to a fine degree. Skyline from Alumasc offers top of the range roof edge details to suit all designs and budgets. Skyline systems are manufactured from high quality, polyester coated aluminium by a manufacturer with 50 years of product manufacturing experience so you can expect high precision detailing, welding and finishing. And NOW you can select and pay for these quality products online from Rainclear Systems the UK’s leading stockist and online retailer of metal rainwater and roofline systems. 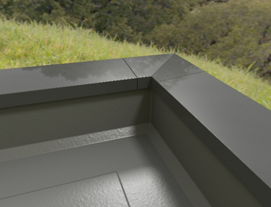 The Skyline aluminium coping system has a hidden strap fixing method which avoids penetration of the capping, whilst allowing ventilation over the top of the wall. In March 2010 arsonists torched the historic 19th century St Mary’s Church at Westry in Cambridgeshire, leaving it almost completely destroyed with only the four main walls left standing. Its road to recovery was long and at times uncertain. Indeed it took much fundraising just to enable the church to properly assess the damage. From there detailed plans were developed and the necessary permissions sought before the restoration was finally able to take place. 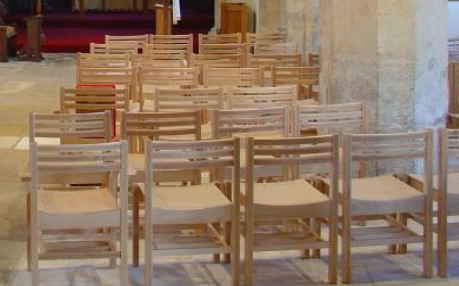 To ensure the church was returned to its former glory it was imperative that the restoration was carried out using the correct traditional building materials. 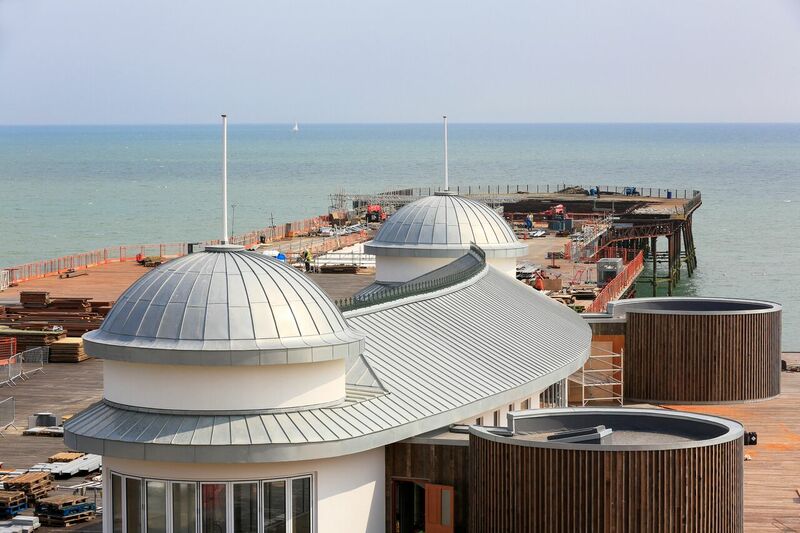 The restored Grade II-listed Hastings Pier, built in 1872, has natural VMZINC® standing seam roofs which are undoubtedly the most immediately recognisable feature of the £14.2m redevelopment. dRMM architects’ vision to restore the pier to its former glory has been a resounding success following years of neglect, closure for eight years and a fire which tore through it in 2010. 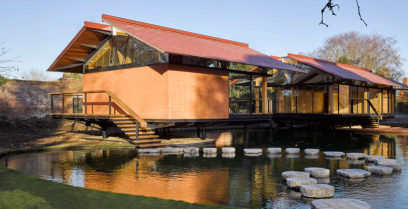 It has been shortlisted for the 2017 Stirling Prize. Described as a national Victorian treasure, the domed roofs spanning covered seating areas are particularly eye catching and complement façades in the same system. Both will weather to take on the textured, natural grey patina which is so reminiscent of lead. The standing seam work was undertaken by specialist metals contractor Roles Broderick Roofing, whose craftsmen finished the roofs with ornamental zinc finials. 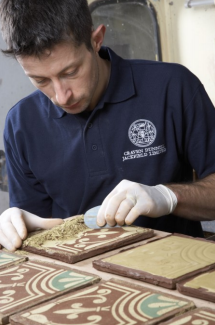 Craven Dunnill Jackfield has underlined its ranking as the leading manufacturer and supplier of specialist tiles for major restoration projects, having taken top honours in the TTA Awards. The company has been named in The Tile Association Awards as both winner of the prestigious Excellence in Manufacturing and as the manufacturer for the Best Renovation Project 2017. 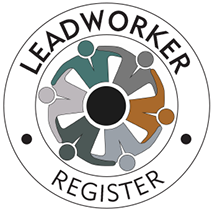 BLM British Lead, the UK’s leading manufacturer of Rolled Lead Sheet, invite leadworkers and roofing contractors to enter their recently launched Photo Competition. 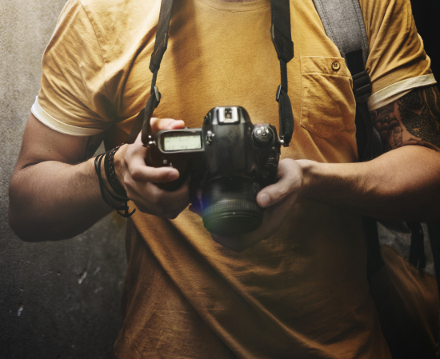 The theme of the Photo Competition focuses on unique and striking Lead photography from impressive and inspiring projects. 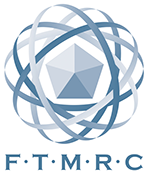 They are looking to see pictures of unusual and interesting detail from the hidden to the well-known, small to significant volume projects. Similarly, more common application detailing shot from unusual angles or in an unusual setting. The National Federation of Roofing Contractors (NFRC) have launched their Safe2Torch campaign. 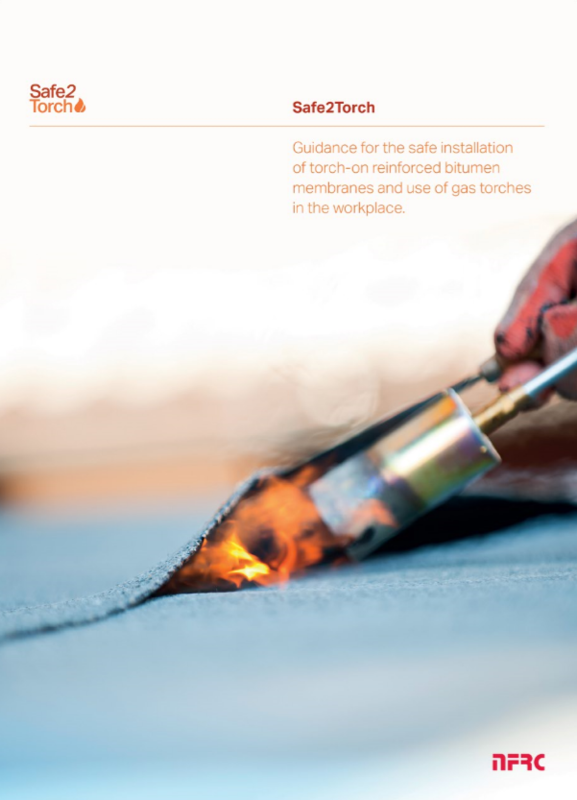 The focus of the campaign is new guidance, developed in partnership with stakeholders across the industry, which aims to reduce the risk of roof fires when using gas torches on roofs. Knole is in the throes of a £19.8 million conservation project, the largest ever undertaken by its owners the National Trust. The conservation and restoration of this 600-year-old property is firmly focussed on ensuring that its aesthetic is empathetic to its heritage and is historically accurate. 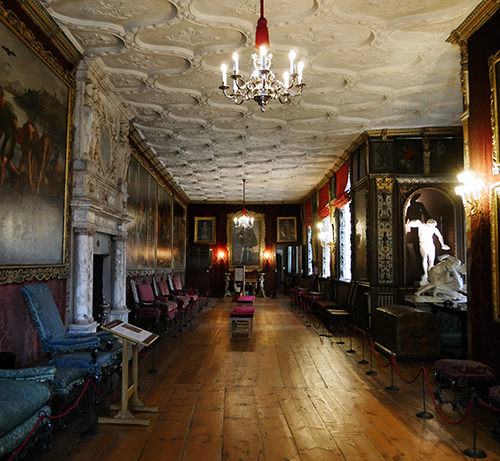 In the Cartoon Gallery named after the Raphael cartoons that hang in this the longest of Knole’s galleries, bespoke chandeliers have been manufactured by Dernier & Hamlyn to designs by the lighting designers, Sutton Vane Associates. They were cast in solid brass and hand finished in silver in a traditional Knole style that was adapted to include LED spotlights fitted to the baluster which are used to highlight artworks. The chandeliers replicate those that previously hung there, evidenced by historic photographs and archival material. 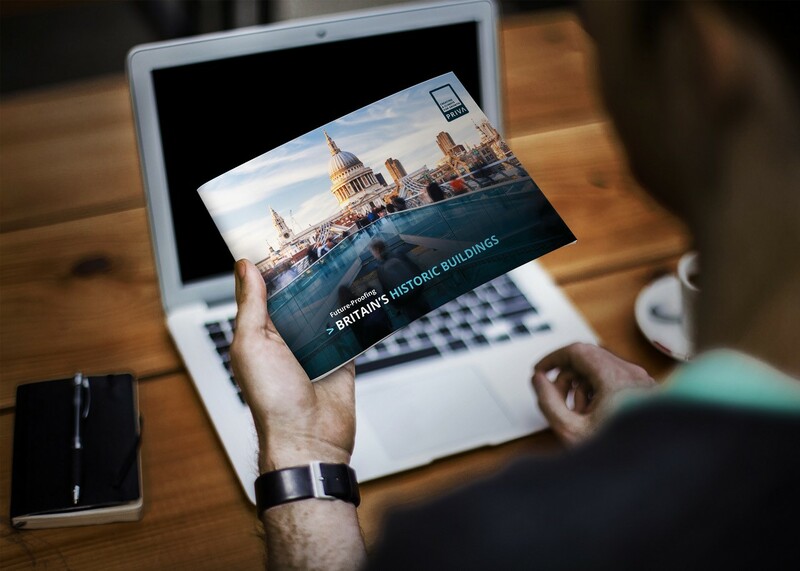 As ‘Britain’s Brick Specialists’, Michelmersh, the UK’s premium producer of bricks, pavers and roof tiles, has released a new corporate video, exhibiting the Company’s innovative brands that have become some of the most trusted names within the construction sector. 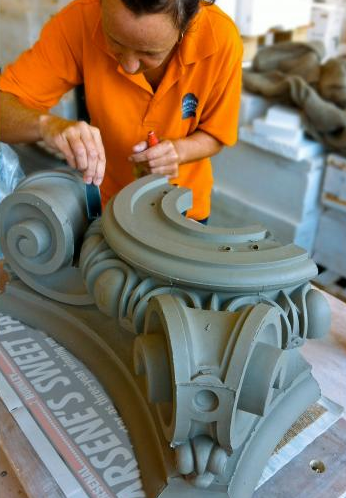 With advancements in the Company’s latest technology processes, new designs and innovation, Michelmersh continues to retain its reputation for beautiful, durable and natural looking clay pieces to satisfy wider audiences. 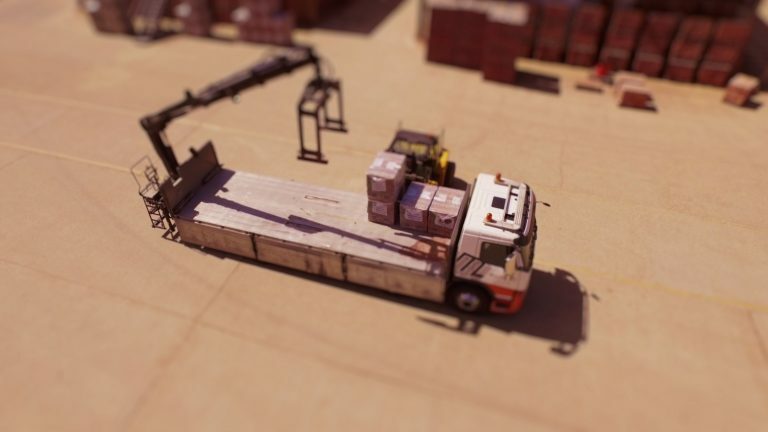 The video demonstrates the Company’s outstanding reliability, unparalleled workmanship and high product performance to meet any design requirement. Laid in harmony with their environment, Michelmersh’s clay products command a strong character to every development and a charm that is truly deserved. 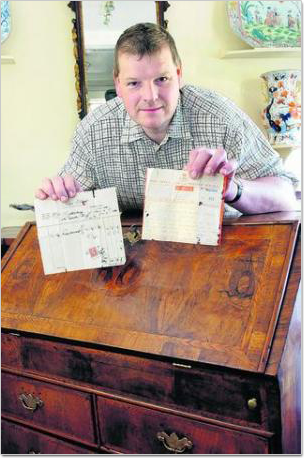 Cotswolds furniture restorer Clive Payne made a unique discovery whilst restoring an early 18th century bureau which had been bought from the estate of Agatha Christie. The bureau, which had been brought in by a private client, had been sitting in Clive’s workshop for 3 years before he began work on it. Known as the UK’s largest producer of traditionally handmade bricks and specials, produced from its manufacturing base in Leicestershire, Charnwood combines the highest durability characteristics with the ability to tailor bespoke products to your exact specification to produce a premier finish. Two recent unique projects have used quality, premium Charnwood products to form inspiring architecture that encompass distinctive designs. Stepping Stone House, in Hurley, is a 150sqm multi-room garden house extension located in the grounds of Hurley Manor House. Shortlisted for a RIBA South Regional 2017 Award, architecture practice ‘Hamish and Lyons’ has accomplished a beautiful design, which seeks to embrace the essence of nature using organic structure, natural materials and daylight. The danger of fire in ecclesiastical and other heritage buildings becomes particularly acute when building or refurbishment work is being undertaken. 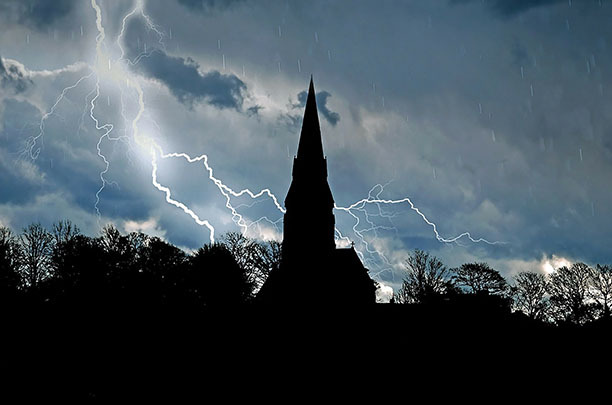 A major concern is that most building work in churches is undertaken while it remains fully functioning. 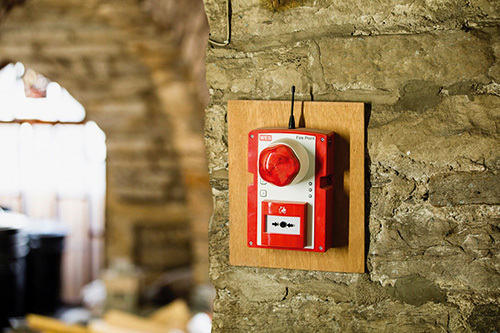 In those situations, not having a fully compliant fire alarm system can result in unnecessary risks to the congregation and other building users. 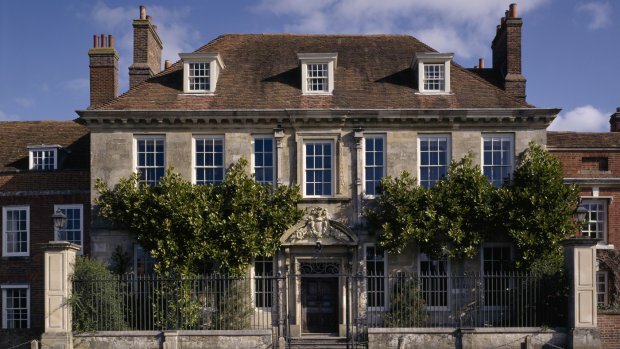 The daily opening of the shutters at Mompesson House in Salisbury floods the house with light - but how does this affect the collection? National Trust Consvervation Assistant Kate Vince looks at the different ways that light is monitored to protect the collection whilst still creating a wonderful experience for visitors. My first job in the morning is to open the shutters of the house. 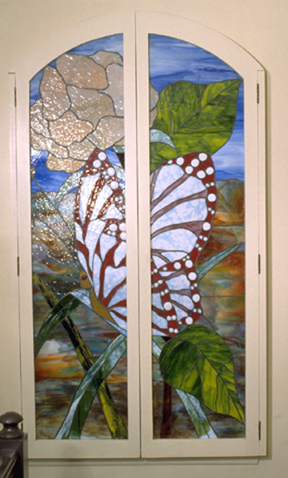 This lets the light flood the rooms and brings the house to life. I do a room at a time, clean it, then shut the shutters back down and plunge the house into darkness once more. This stops light from damaging the collection. Light is an agent of deterioration and as such is monitored throughout the house. Viewing the collection in daylight is a joy but it has been well understood for centuries that light, particularly daylight, can cause objects to deteriorate. This damage is irreversible and cannot be rectified by conservation treatments. 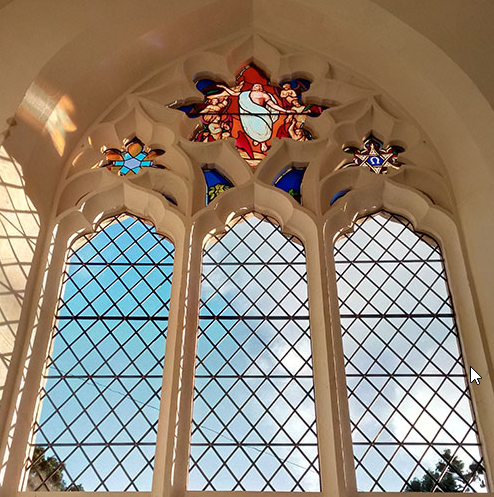 The Norfolk based company Kenton Brauer Stained Glass & Casements have recently taken part in the complete restoration to St Pancras Cemetery Chapel in East Finchley, London by restoring the main West tracery. In addition to this, they manufactured & installed nine new leaded lights to the North, South & West windows and undertook many repairs to the other tracery stained lights within the chapel. This grade II listed Anglican chapel sits in one the largest and oldest cemeteries in the UK and was built by J.Barnett and W.C. Birch in 1853. 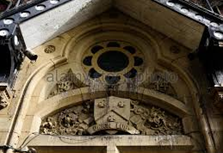 It is of a cruciform design with gothic styled decorated windows. Raikes Road Burial Ground in Skipton, North Yorkshire is a one-acre Victorian cemetery, originally opened for just 30 years from 1846 to 1878, after which it became forgotten and neglected with much damage. The Friends of Raikes Road, a volunteer group, were formed in 2013 with the aim of restoring the old site, encouraging and studying the wildlife which had taken over the Ground, and bringing it back into Skipton's heritage. There was no surviving documentation about the site except for the Burial Register, from which it could be seen that 2,000 people were buried in this small area, being an overspill from the Parish Church graveyard. 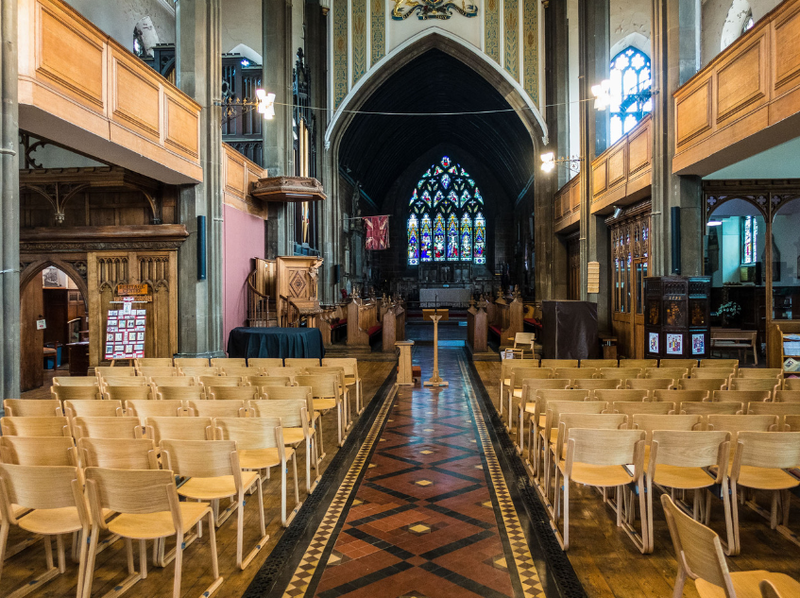 Sound systems installations in places of worship can prove to be inherently difficult and challenging projects, often with complex architectural and acoustic obstacles to overcome, audio projects shouldn’t be undertaken without the appropriate knowledge and expertise to do so. With audio requirements of places of worship becoming increasingly demanding, regularly hosting live bands, multiple presentations often with numerous zones within multiple spaces requiring high-quality audio playback audio system design for places of worship regularly use the latest networked audio technologies, multiple radio microphone channels and digital mixing desk invariably controlled by popular mobile devices. 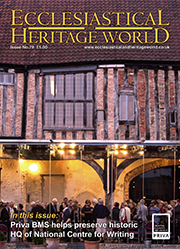 Protecting the fabric of the historic or listed buildings is undoubtedly the ultimate priority for anyone associated with building conservation. 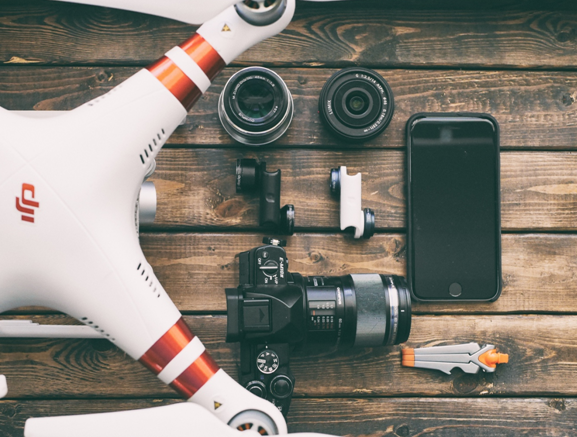 However, the conservation sector may be unaware that it is possible to future-proof heritage buildings with the same control-based technologies found in modern structures. With this in mind, leading building controls manufacturer, Priva, has published a guide, which includes case studies covering the integration of building and energy management systems at some of the world’s most famous buildings. Sheffield-based Martin-Brooks were proud to be one of just four firms shortlisted for the National Federation of Roofing Contractors’ (NFRC) heritage roofing award for its recent work at the Welbeck Estate near Worksop - the awards celebrate exceptional standards of workmanship in the roofing industry. 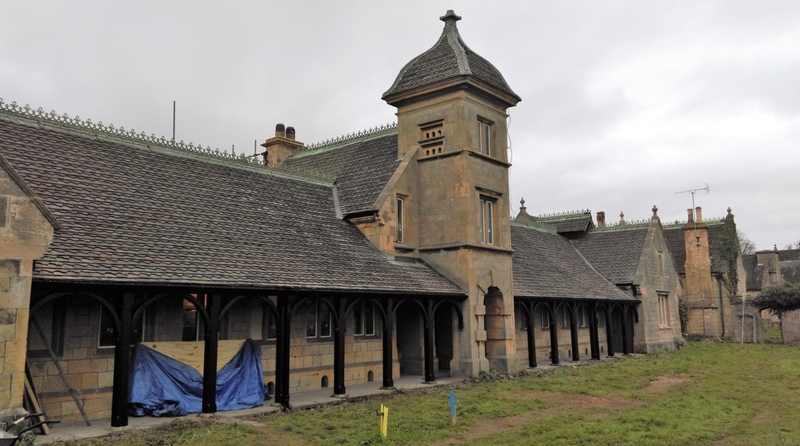 Martin-Brooks’ craftsmen have restored the roof on the historic Poultry House, which is being redeveloped into a children’s nursery as part of the Welbeck Project. It involved removing the existing coverings and replacing the highly decorative finish with as much salvaged material as possible. 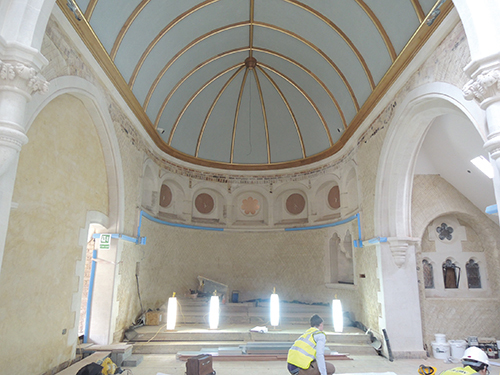 The team from Mark Galley Decorators Ltd are pictured applying their expertise at the prestigious Mingary Castle restoration project which featured in a recent issue of Ecclesiastical and Heritage World. 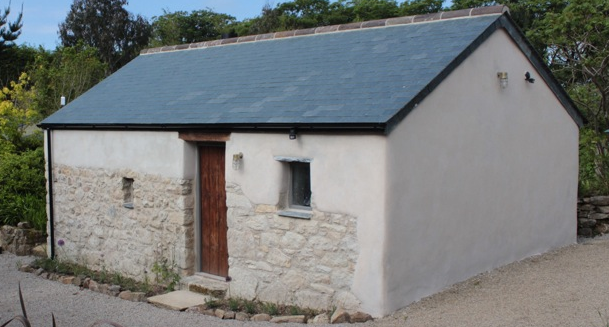 The Bradford-based company are one of the most accomplished decorating contractors in the country and are particularly skilled in the sympathetic restoration of listed buildings and heritage sites. 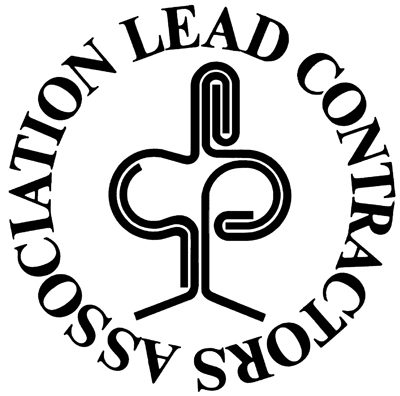 Established in 1982 as a one-man band, Mark Galley took any type of decorating job to get the business recognised and, as time went on, his name became known for quality work and commitment to customers. 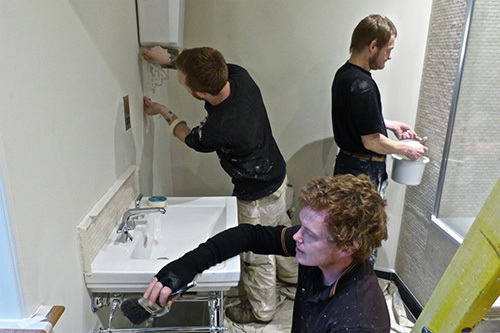 As jobs became bigger and more plentiful Mark started taking on staff and the business now has upwards of 15 full time employees who work on both commercial and residential properties.